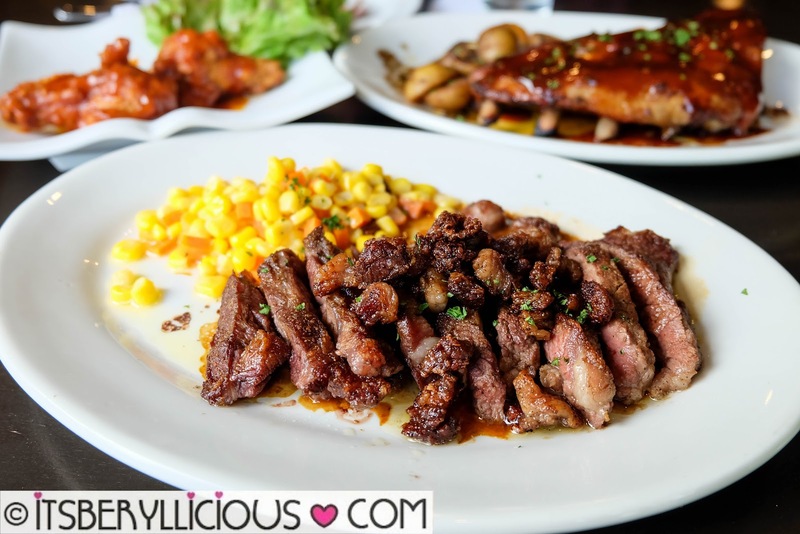 There are days when you just crave for steaks.. a nice steak lunch or dinner that doesn't have to be fancy and expensive. 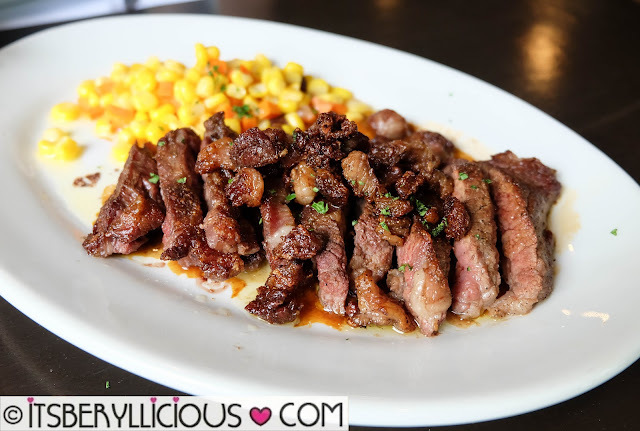 It was that kind of day when we visited this fairly new steakhouse in Tomas Morato called Vittorio's Steakhouse. We always pass by Vittorio's whenever we go around the Morato area, and after reading good reviews, we decided to check it out. We had the whole place for ourselves during our visit since we dined around 2pm. D did all the ordering and chose Platter 2 (P1,285) from Vittorio's Platter menu. 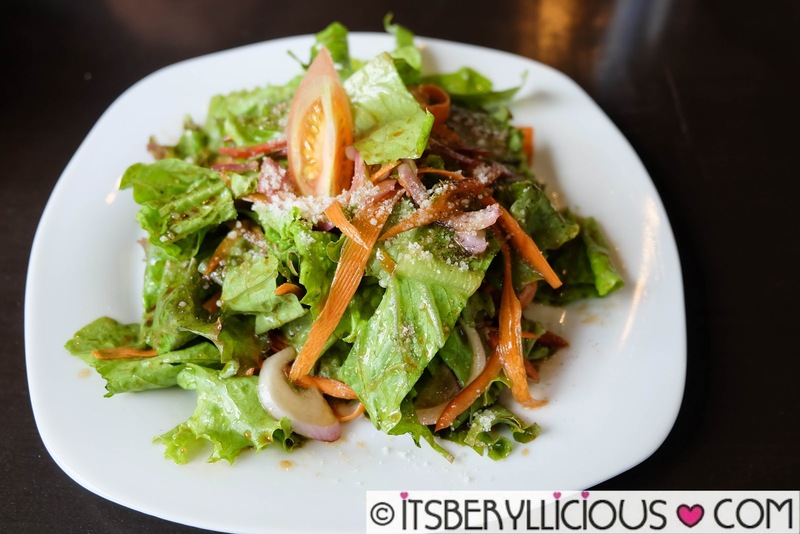 We started with a House Salad of lettuce, carrots, onions and tomatoes in balsamic vinaigrette dressing. 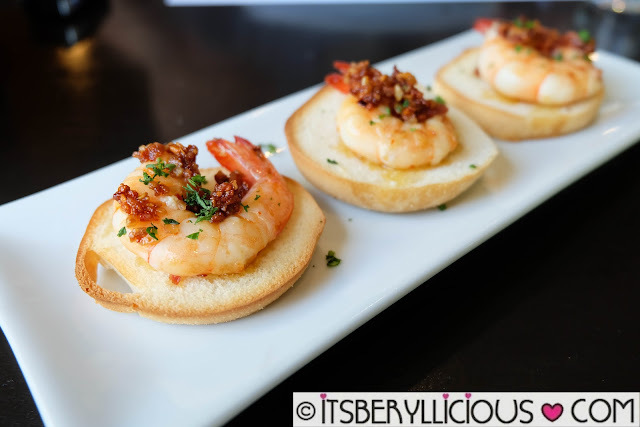 The Prawns Canape followed with plump butter-garlic shrimps atop three toasted bread slices. 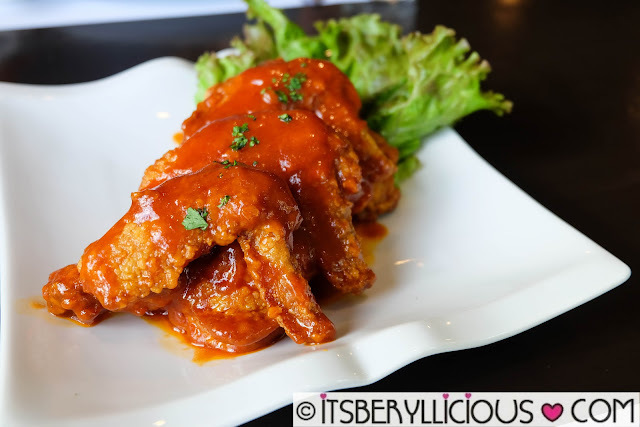 We also ordered for an additional appetizer of Buffalo Wings (P210) while waiting for the mains to arrive. The wings were not too crispy, but flavor-wise, I loved it! Good thing I was able to capture this beauty before the plate was wiped clean. We had the Sirloin Steak cooked to medium and it came out perfectly. Although the meat could be more tender, it was still flavorful and juicy. You can have a glimpse of the Half Rack of Ribs on the upper right part of the photo. The size was surprisingly huge, but with our very big appetite, we managed to finish everything we ordered. While it is not everyday that I crave for steaks, I would still go back to Vittorio's for their buffalo wings and ribs. Menu prices are very reasonable given the quality and serving of each dish. Hopefully we can try the Ribeye or Porterhouse Steak next time. It's quite more expensive, but judging from photos I saw online, an order is already good for sharing. I heard their pasta and pizza are also good, so we'd probably try those as well. I recommend you get the Vittorio's Platter which can give you a lot of savings.